A lie has short legs, the people said. A populist dispute between the pseudo-ecologists and the citizens who want to experience the nature is about to finish. With the help of the state and UNESCO, which the alleged environmentalists use as a scarecrow and flood with accusations. According to a decision of the World Natural Heritage Committee to the organization the expansion of the ski infrastructure in Pirin National Park is now allowed. The condition is that the government shall comply strictly with the legislative procedures on the adoption of investment proposals, thus not impairing the value of the object. I.e. it gives a green light to the construction of a new lift in Bansko. What is more important is that it opens the route to the construction of lifts in the other mountains with existing plans that are blocked for years. 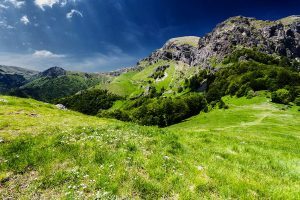 It was seen that the impostors have not been impressed by the positive example with the lift near the Seven Rila lakes, which allowed thousands of people to visit this natural phenomena and they’ve been successfully tested if they could keep it from contamination. They’ve neither been touched by the congestions and the numerous car accidents in Vitosha, threatening human lives, especially in winter. In fact, it is clear long enough that political manipulators, pursuing their own goals are peeking behind the noble cause while they have nothing to do with it. It is even worse that they treat people like vermins. They could hardly imagine that the people need the nature the same as the nature needs the people. Not with fake bans but in a quest for harmony that has always existed. That’s why it was high time for the state to intervene and to resist the undisciplined “ecologists”. They were left for too long to flood the European institutions with fake news. And this is just the beginning. Soon, they must pay for the harmed national interest.